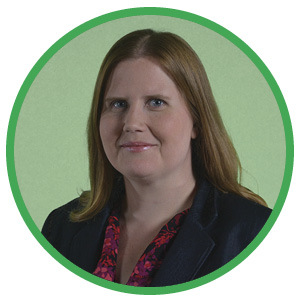 Having the Girl Scouts close to heart, Sarah Snell is an active member of the Girl Scouts of the Jersey Shore where she holds the position of regional delegate to the Board of Directors and serves on the council's recruitment committee. She is also involved as a troop leader for not one, but two troops in the Shore Pines Region since 2015. Snell attended Richard Stockton College of New Jersey, where she holds dual bachelor's degrees in Accounting and Finance. Snell works as chief operating officer at Holman Frenia Allison, P.C. When she started working in 2005 she became one of the fasted moving accountants; she rolled up her sleeves and shifted focus inward on the heart of the company she grew to love. Her ambition kept her working while growing her family, which is often not the choice for women in public accounting since it is such a demanding job. Snell implements and oversees a wide range of activities in all phases of administration, personnel, finances, facilities, and marketing for an 80+ employee firm with four offices located throughout New Jersey. She belongs to the New Jersey and National Chapters of the CPA Firm Management Association where she received the designation of “PAFM” Professional Accounting Firm Manager and graduated from the CPAFMA Leadership Institute in 2017. She is a member of the New Jersey State Society of CPAs and serves on the Student Programs and Scholarship Committee. She is also a new member of the Junior League of Monmouth County, currently serving on the Community Impact Council.